Fifteen years after visiting Tangalooma for the first time we went back as a family and it was even better than I remembered. I’d been dreaming of an island getaway, however we didn’t have the time off or budget for a tropical island villa overseas, so we thought we would embrace the local island life. Having not been to Tangalooma in such a long time we thought it was the perfect place for our family’s quick island getaway! 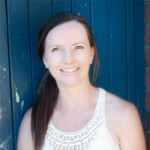 My husband and I first went on a day trip snorkelling to the wrecks at Tangalooma 15 years ago and I have always wanted to see what this little island had to offer from the land’s view. 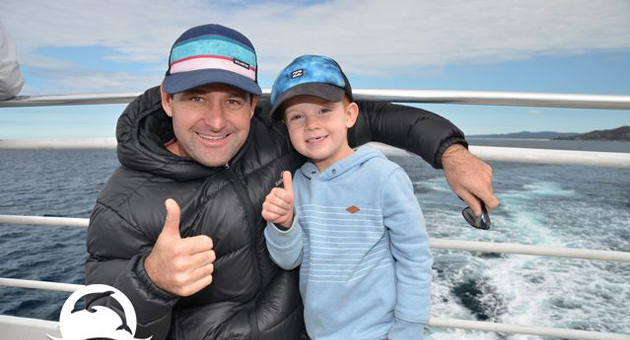 We jumped on the ferry from Brisbane’s suburb of Hamilton and took to the sea in style. We could choose between outdoor viewing, a lounge area or passenger ferry style seats (tip: board early to get your fave seat selection for the journey). Being known for hand feeding dolphins this island hideaway boasts hundreds of accommodation options from hotel units to villas and even private housing behind the resort. It was great to finally come back and check out the shoreline, restaurants, water activities and the overall island vibe. Beyond all of this, the highlight of our day was our very own interaction with the dolphins! But first we had whales to see. After all, the area is full of marine life and is one of the best areas in Australia for watching the annual whale migration. I was shocked to find out on our day trip that up to 28,000 humpback whales are expected to migrate past Moreton Island this year. 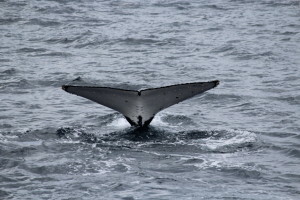 Tangaloooma also runs the longest whale-watching cruise in Australia. We sighted nine whales up close and saw over twenty from afar. We also saw a turtle cruising by – the kids were so excited! We finished the day with the dolphin feeing (I know could it get any better). 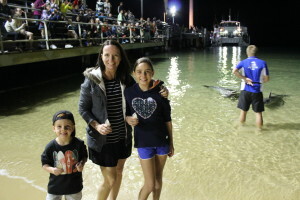 It was an amazing experience and the kids loved being able to feed a wild dolphin. We also saw a baby wobbegong shark during the feed, which added to the thrill. Aside from its abundance of marine life, Tangalooma is full of native fauna including 195 bird species, 14 native mammal species (except for koalas and kangaroos), 36 reptile species and 11 frog species. 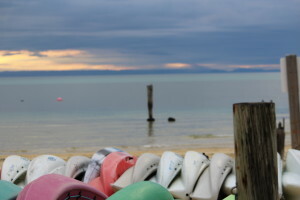 Tangalooma really is a hidden piece of paradise found so close to our busy capital city. It’s perfect if you’re looking to escape the hustle in such a short time and really soak up the island life (even if you only have one day off!). You can disconnect from your busy life and reconnect with family fun. The wildlife is treasured and the beauty of the sea is spectacular!